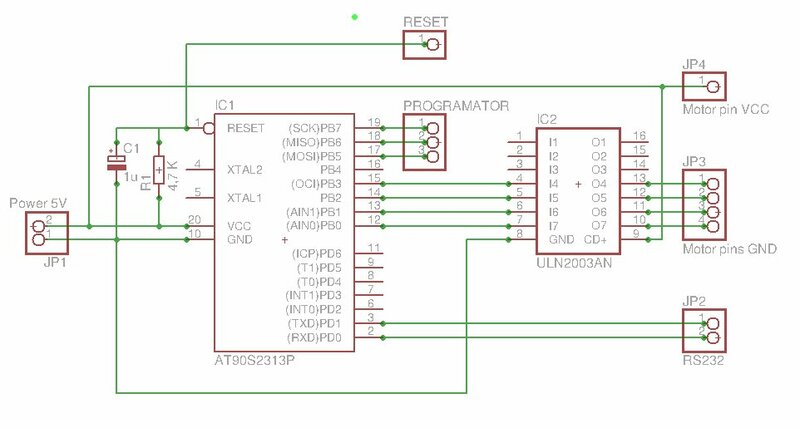 Drive stepper motor from serial port RS232. 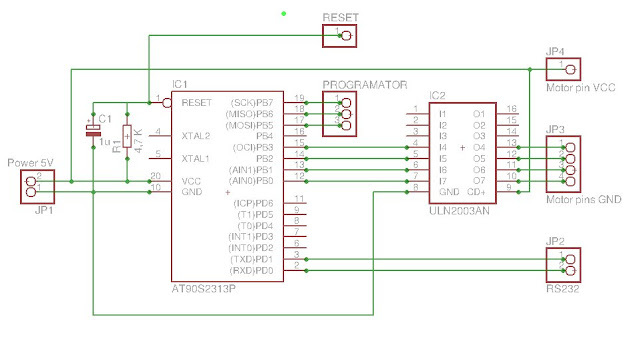 This board is used to drive stepper motor from RS232 port. After reset position in the running program is set to 0. If a valid data is received on USART port, motor starts to move, exactly X or -X steps. R - reset communication. It should by send every time, when we send position value. NNH - Number Number Horizontal -> e.g. 05H or 48H, the 'NN' are position with one leading zero at left. the 'H' means Horizontal, It was added for future, maybe someday this board can drive Vertical and Horizontal motor position.